Sealcoating is a cost-effective way to renew and extend the life of your asphalt. The process includes applying a high-quality, thin sealant on top of your asphalt. The result is pavement with a rich black look that is protected from damaging things like gas, oil, salt and UV rays. 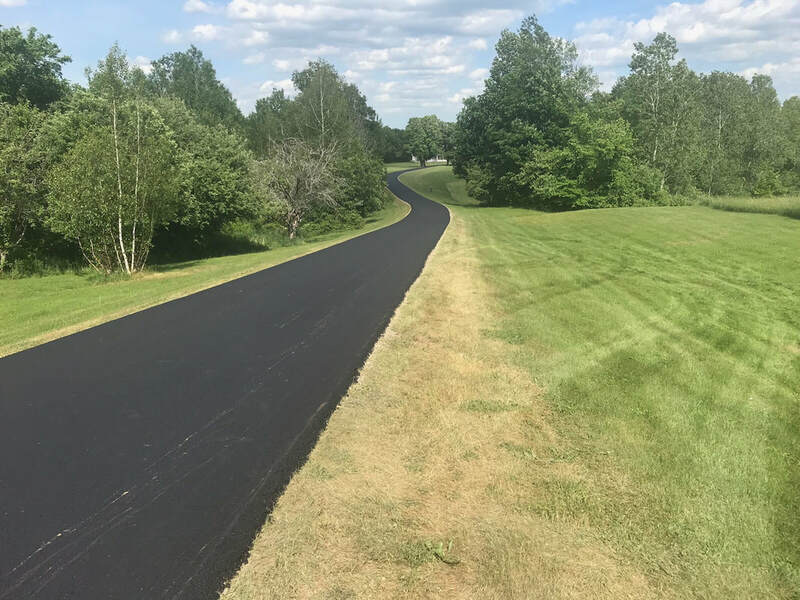 Contact us to request a free written estimate for your asphalt sealcoating project. Cost effective - The price of asphalt is affected by crude oil prices, which tend to fluctuate based on supply and demand. Sealcoating helps to preserve asphalt for a much lower price per square foot. Beautification - Asphalt tends to look and wear like new when covered with a dark, black sealant. Sealcoating helps to restore driveway and walkways, project a positive image of the home, company, facility or roadway. Slows oxidation - By filling surface voids, sealcoating reduces exposure to damaging oxygen and UV rays. Slows water penetration - Sealcoating minimizes the rate at which water permeates pavement. When water enters pavement, it can cause expansion and contraction from freezing and warming temperatures. This effect can cause cracking and reduces the life of asphalt. Resists oil and gas spills - Automobile gas and oil can break down unsealed asphalt, especially when it's warm. The coal tars used in our sealcoat is impervious to gas and oil spills. Easier maintenance - Sealcoats fill surface voids while coating the pavement surface. The result is a smooth surface that makes it easier for sweeping and snow removal. 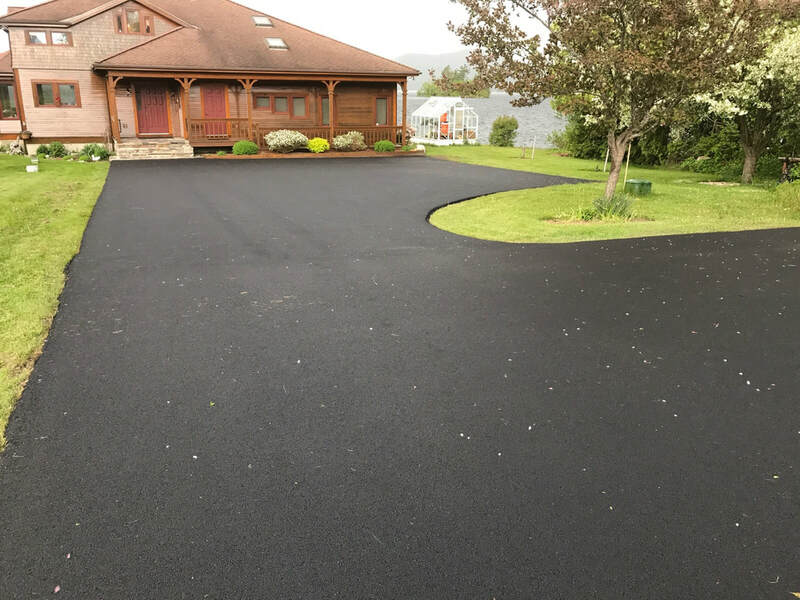 Increases pavement flexibility - Sealcoating restores the dark black color to pavement. The blacker pavement is, the more heat it will draw from the sun and the hotter it will get. Pavement becomes more pliable when heated, which helps it to withstand traffic without cracking. Weather - It is important to perform sealcoating under ideal weather conditions. 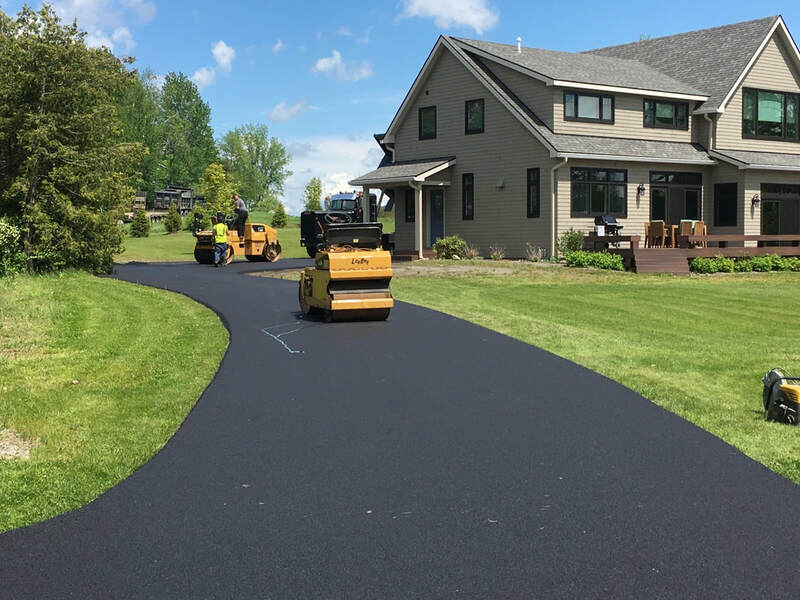 Temperature - The ideal pavement and air temperatures should be at least 55 degrees Fahrenheit and rising, both during sealer application and for 8 hours after application. ​Preparation - Structural failures and cracks on the pavement must be repaired prior to sealing. In addition, potholes must be filled, cracks must be cleaned and filled, and oil spots cleaned or primed. Drying - Asphalt sealant drying takes approximately 16 to 35 hours. During that time, traffic should be kept off the newly sealed surface. Also, it is important to keep the area from getting wet by things like sprinklers or hoses.